Splash is made from black material with a white belly and has black button eyes. With a victory jump he’ll make a splash! 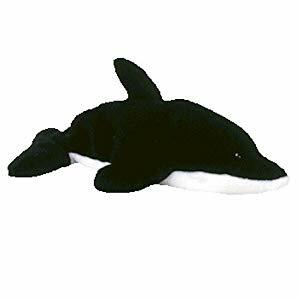 Splash the Whale was one of the original nine Beanie Babies which was introduced on 8th January 1994. His birthday is on 8th July 1993. Splash was one of the first to retire and did so on 11th May 1997.